Whether it’s a 21st birthday, end of year break up for a Geelong business or simply want to throw a party, we all want our occasion to be unforgettable- for all the right reasons of course! While it is easy to become stressed by all the planning for the big night, if you head over to a Geelong function room at The Grovedale they do it all for you, so just bring yourself and friends and the night is a success! Holding your event in a Geelong function rooms at The Grovedale Hotel not only maximises time with your guests, friend and family but it removes all the stress you can get with it! It may seem like there are heaps of function centres in Geelong but the truth is, there are only a couple of function venues in Geelong that are perfect for you and your event! It’s important that you enjoy the space as your friends and family will too! If you’re choosing from function venues in Geelong it will make it easier for you to visit the spaces and ensure everything is going smoothly in the lead up to your big night! 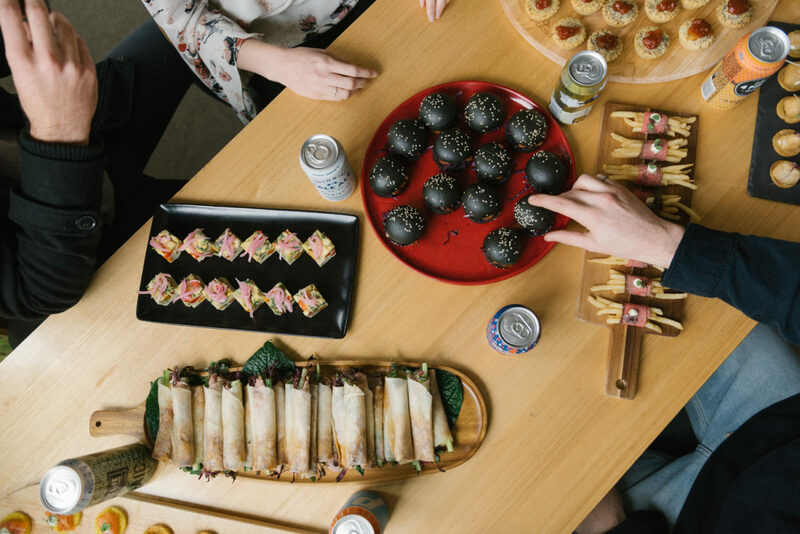 The best option in Geelong is to hire a function room that has canape packages as this way it allows you to focus on the finer details of the event. You just need to make sure the food and menu are just as exciting as your event! You should decide whether roaming canapes or a set menu is the way to go for the night. These details may be dependent on the size of your even, function room or style of the event. The Grovedale Hotel can cater from anywhere from 10 to 300 guests and you can choose a catering package to suit the needs of your Geelong function. As bar staff are essential to any large celebration, make sure you choose a function centre that has this available for you. At the Grovedale Hotel, our array of staff is included in Geelong function room hire! Our impressive bar staff ensure that you and your guests are served in a timely fashion, the bar remains clear and everything is perfect for you! Roaming bar staff are also an excellent idea if the option is available with your Geelong function centre as it allows each guest to feel attended to. Lucky for you, the Grovedale Hotel has this all for you! It’s no surprise that planning makes everything run smoothly, especially when you are hiring a function room in Geelong. Planning will also ensure your function is perfect, estimating the time guests will start arriving, what time speeches will be made and the list goes on… Just make sure you give yourself enough time on the day to organise your Geelong function room and get yourself looking amazing! At the Grovedale Hotel, everything can be easy as 1,2,3 when planning a function. Head to our website, click on functions, and find a room that fits your needs! See, easy as 1,2,3! Whether you’re planning a big 21st celebration, wedding reception or a reunion event we can help find the perfect Geelong function venues for you at the Grovedale Hotel, contact us now.